The City of Derby is the smallest city in the state of Connecticut, covering 5.3 sq. Miles with 12,080 residents. Route 34 is a primary state highway that passes through the city. The route extends from Newtown to the junction of I-95 and I-91 in New Haven, connecting the New Haven and Danbury areas via the Lower Naugatuck River Valley. Drivers passing through “Main Street” encounter congestions and delays, as the road through the city is a two-lane facility with parking on both sides due to the commercial nature of the street. Traffic delays are caused by people stopping to shop in local stores, eat in local restaurants, and utilize the local Derby-Shelton train station. 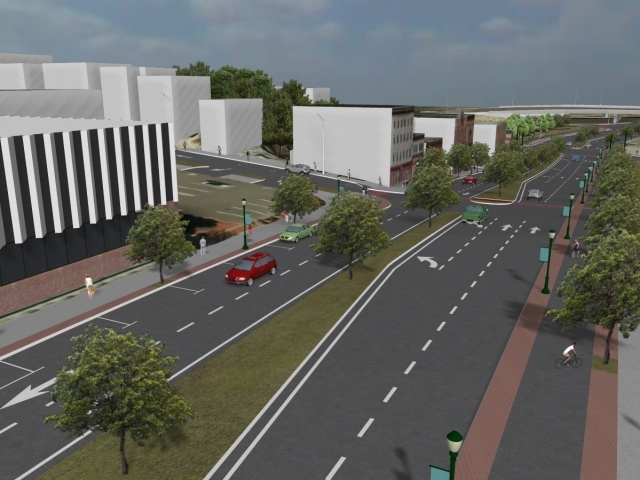 Although the new Route-34 road design originally started in 2008, it was restarted in 2015 to find a more viable solution that was acceptable to all the stakeholders. 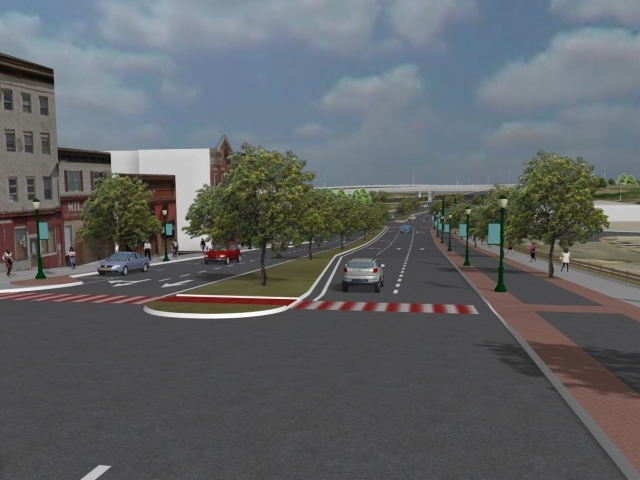 To solve the traffic problems, the DOT proposed a four-lane road, while the city, the mayor, and the key players were determined to keep the “main street” nature so cars will go slowly and patronize local businesses. 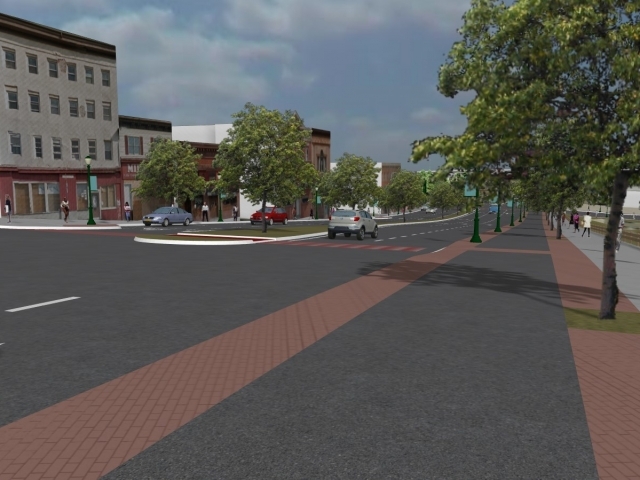 The CT DOT and the Naugatuck Valley Council of Governments, had to find a suitable design that will be able to handle peak traffic flows, and had to work with the city stakeholders to pass it. 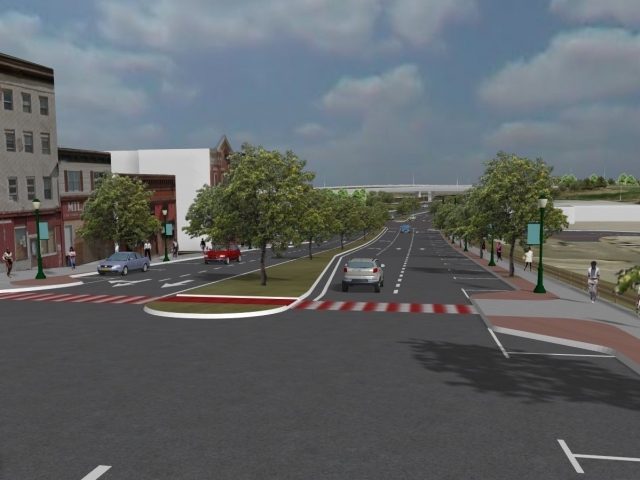 The DOT suggested a four-lane road that also includes a mixed use path for bikers and pedestrians. It became apparent that to find a solution, it was important to build trust through powerful means of communication with the multiple and varied stakeholders. 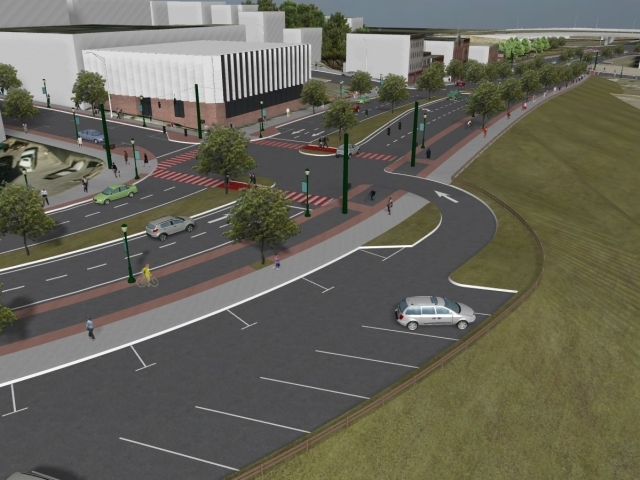 2D drawings and cad files, or even static 3D renderings were not enough, and did not let the stakeholders fully understand the proposed design alternatives, creating early objections to the project design. 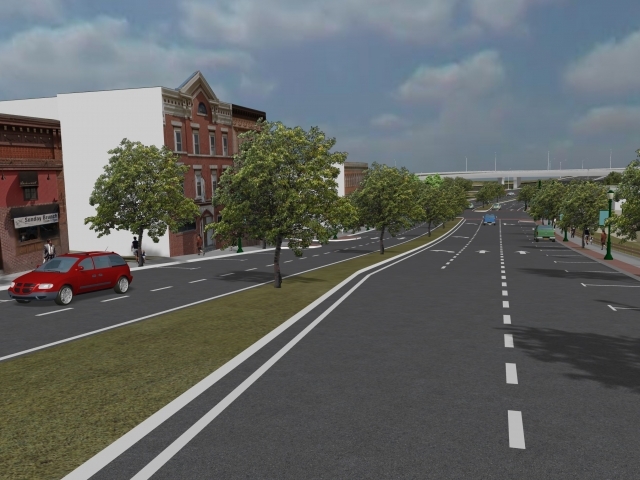 The RDV visualization suite has made it possible for all stakeholders to “see” what the design proposals would look like when completed through stunning 3D models of the proposed main street alternatives during the pre-design public outreach phases. 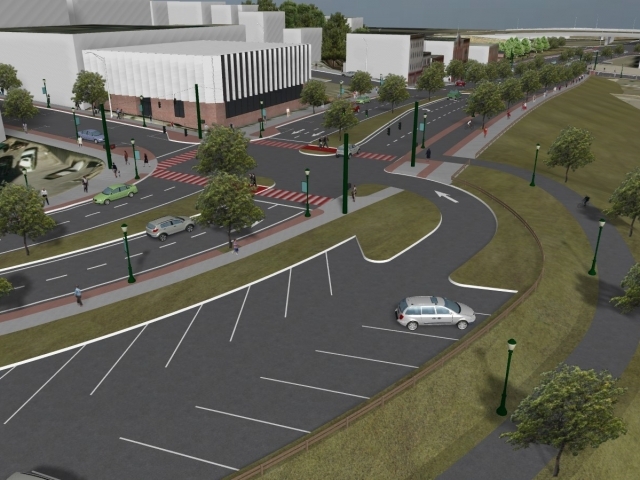 Visualization modeling on this project was then used extensively for reviews with the DOT and coordination with city officials. 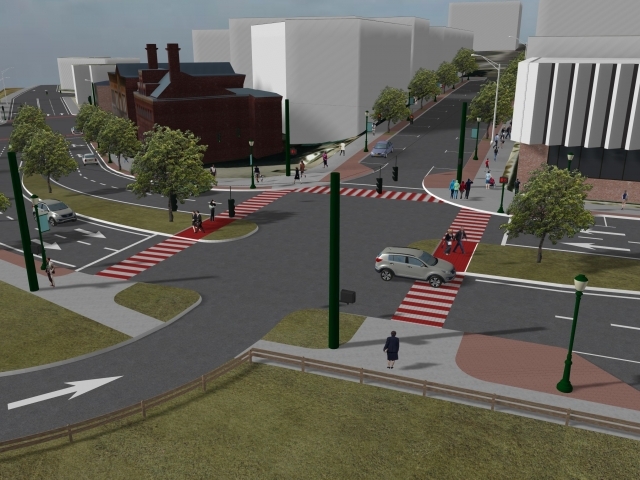 The feedback was incorporated by Luchs and the CT DOT into a more detailed design and visualization model. 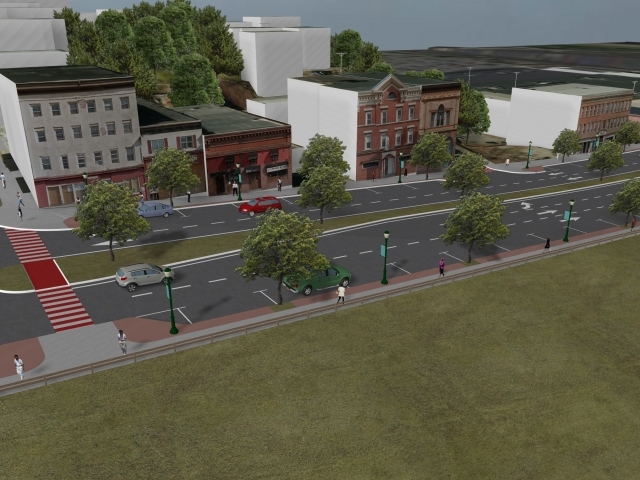 Luchs and the CT DOT have developed a design proposal that addresses the mobility, safety, parking and other concerns, which were presented at a public meeting in Aug 2015. 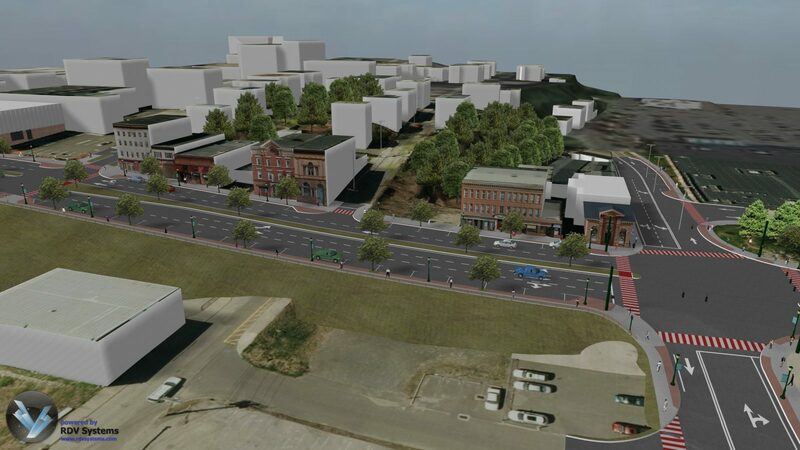 The presentation, using RDV’s visualization technology was well-received by the public, and CT DOT will now proceed to the final stages of the project design. 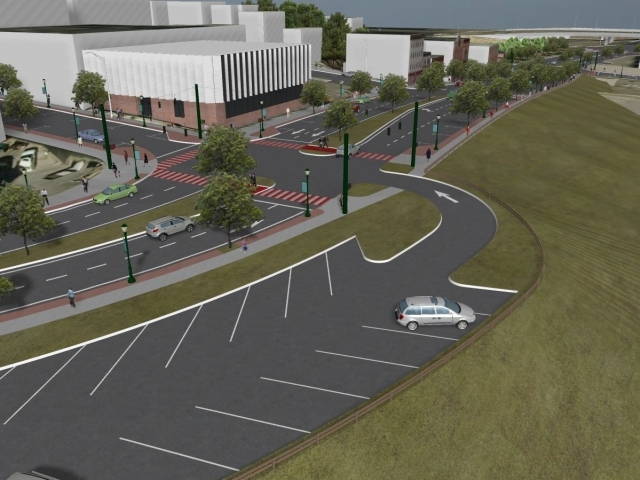 Ron Dagan of Luchs Consulting Engineers, the consulting firm working on the Derby Route 34 expansion project, noted that when plans were initially shared with the mayor office, city officials and local business owners, the reaction was weak. They couldn’t visualize what the proposed changes would look like and were immediately skeptical. 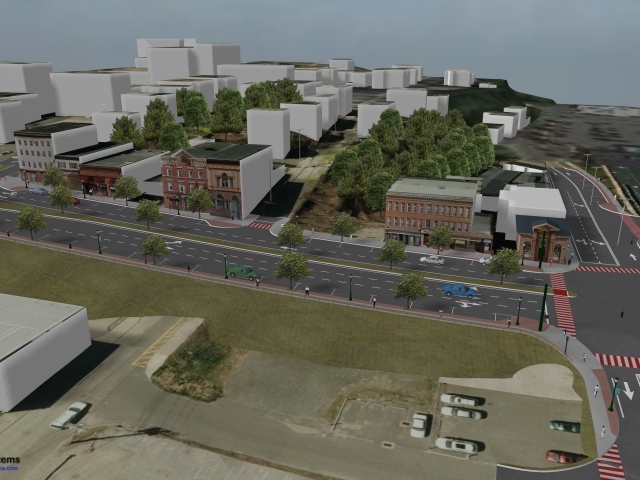 Once the 3-D modeling was revealed, it instantly provided both internal and external viewers the imagery needed for them to immediately understand what was being proposed, and they were excited to see what the proposed changes could look like. Public reaction was overwhelmingly favorable at the first public meeting and the major television news stations in Connecticut provided positive coverage using portions of the 3-D model in their news. COPYRIGHT © 2019 RDV SYSTEMS. ALL RIGHTS RESERVED.